Kelp Noodles are gluten free, grain-free, fat-free and sugar-free. I wouldn't say they have oodles of taste but with the right ingredients to accompany them, they make a terrific meal. 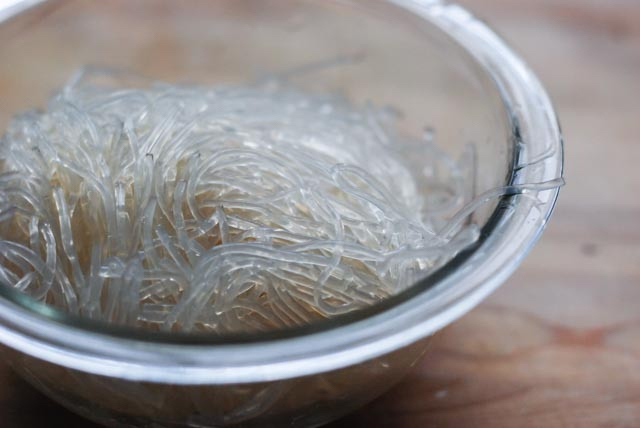 These translucent noodles contain around 70 minerals, 21 amino acids and trace elements and are critical for the production of the thyroid hormone which conducts a major role in the body’s metabolism. In fact all sea vegetables are a great source of iodine which is the mineral I’d like to highlight. Iodine will also be present in earth grown vegetables as long as the soil it is grown in contains it. If the iodine isn’t present in the soil it will not be present in the vegetable. However, iodine overload can be just as dangerous as being depleted of it. If you are ever concerned about your iodine levels, see your medical doctor to have them checked via a blood test. This can be made hours or a day in advance and kept in the fridge. Place the coconut cream, peanut butter, ground coriander, ginger and garlic into a pan over a medium heat and stir well. Once the peanut butter and coconut cream have blended together remove from the heat. Add in the remaining ingredients including chilli if you are using it and stir to combine. Set aside ready for use. Put the kelp noodles into a large bowl and cover with boiling water a for about 5 minutes before straining through a colander. Into a large bowl add the kelp noodles, followed by all the other herbs and vegetables except the beetroot, (this is so it doesn’t colour everything red). Gentle combine the vegetables with the kelp noodles then add in the beetroot giving it one final toss to combine. In a fry pan melt a little coconut oil. Add the slices of tempeh and cook until golden brown on each side, which only takes a couple of minutes. Set aside ready for use. 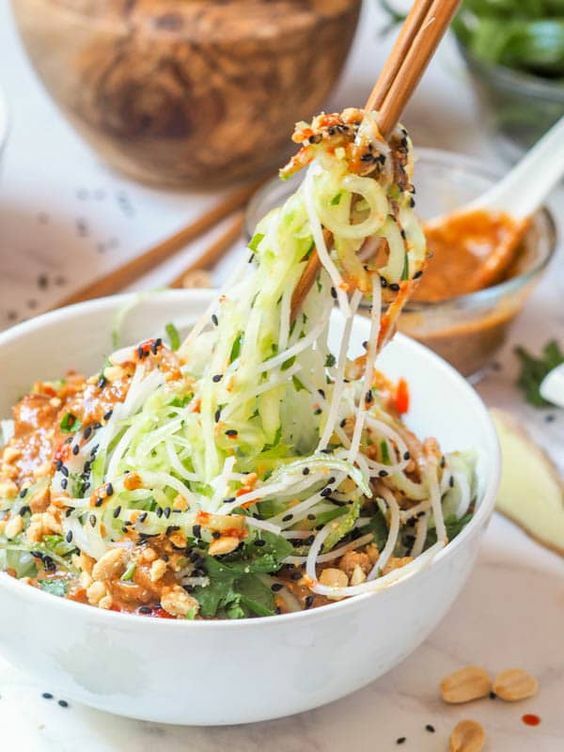 Pile the noodles onto a serving plate or into 2 separate bowls like a bit of a pyramid before adding large dollops of the Coconut Satay Sauce all over it. Lay the tempeh up the sides before scattering with toasted cashews and a few extra herbs and sprouts. This is fresh tasting and seriously delicious!